GraceConnect » Southwest Focus Retreat Held Near Malibu, Calif.
Southwest Focus Retreat Held Near Malibu, Calif. The Southwest Focus Retreat, the regional gathering for Charis Fellowship leaders in the southwestern United States, is meeting this week at the Camp Lawrence Daley Conference Center at Camp Mt. 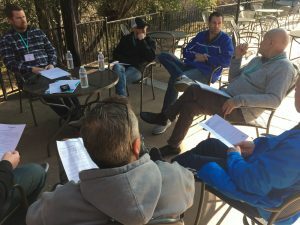 Crags in Calabasas, Calif., a few short miles west of Malibu, Calif.
Pastors and leaders in churches around California and Alaska have gathered for two days of refreshment, fellowship, and relaxation. The retreat is being led by Clancy Cruise, executive director of the Charis Fellowship who is also the pastor of Marysville Grace Church, Marysville, Ohio. 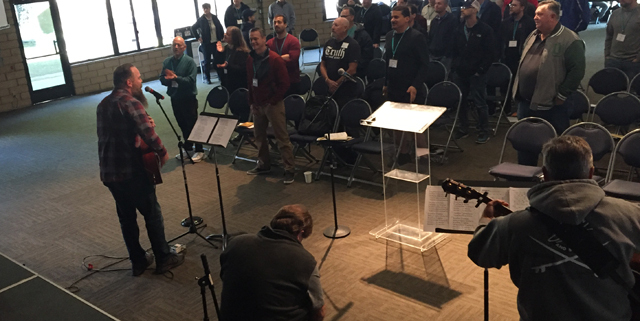 Worship is being led by Jason Dunn, worship leader at Los Altos Grace Brethren Church, Long Beach, Calif., along with Bob Mabry, family pastor, and Phil Helfer, pastor at the Los Altos church. 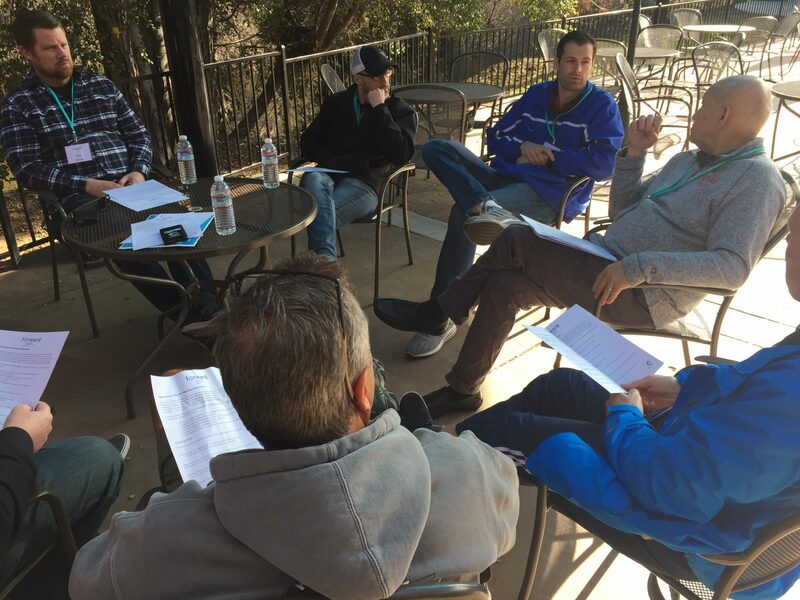 Monday evening, Mike Sciarra, senior pastor at Grace Church, Orange, Calif., talked about leadership development, then the group broke into smaller groups to share ideas and practical tips from their own experience. Tuesday morning, John McIntosh, longtime Charis Fellowship pastor who now serves on staff at Grace Community Church, Auburn, Calif. (Phil Sparling, senior pastor), was recognized by Inspire (Charis Pastors Network) as a Faithful Equipper of Men. John began his ministry in Washington State, but spent many years at Grace Church, Simi Valley, Calif., where he mentored Jordan Bakker, the current pastor at Simi Valley. He then moved on Ripon, Calif., where he assisted the congregation in a transition from a long-time pastor. There he mentored Rex Rodgers as he moved into the lead pastoral role. The award was presented by Joel Richards, former president of Inspire, and he was joined by Bakker and Rodgers in extending the recognition. Tuesday morning also found participants in discussion about the topic of church planting. Mike Jentes, who has served on staff at Los Altos Grace Brethren Church, Long Beach, Calif., encouraged everyone to make a commitment to the church planting conversation. Later in the morning, Ed Trenner, who has served at pastor at Grace Church, Orange, and been on staff with Encompass World Partners, led a discussion on “doing good,” the practice of doing compassionate, caring things. He encouraged them to discuss what needs there are in their communities that could help others. The afternoon was open for free time activities, including dinner out at an area restaurant. The retreat concludes on Wednesday morning.